Another version of a classic Disney film is about to be released in theaters: Pete's Dragon opens everywhere on Friday, August 12th! If you're not familiar with the movie at all, Pete's Dragon was originally made in 1977. That film starred Mickey Rooney and was such a classic in my own childhood. This time around, Pete's Dragon stars Bryce Dallas Howard and Robert Redford, among several other talented actors! Scroll down or click “Read More” to get your Pete's Dragon printable coloring pages and activity sheets! We still have some time before the movie opens, but for now you can introduce your kids to Elliot the dragon, Pete and other great parts of the movie with these printable Pete's Dragon coloring pages and activity sheets! 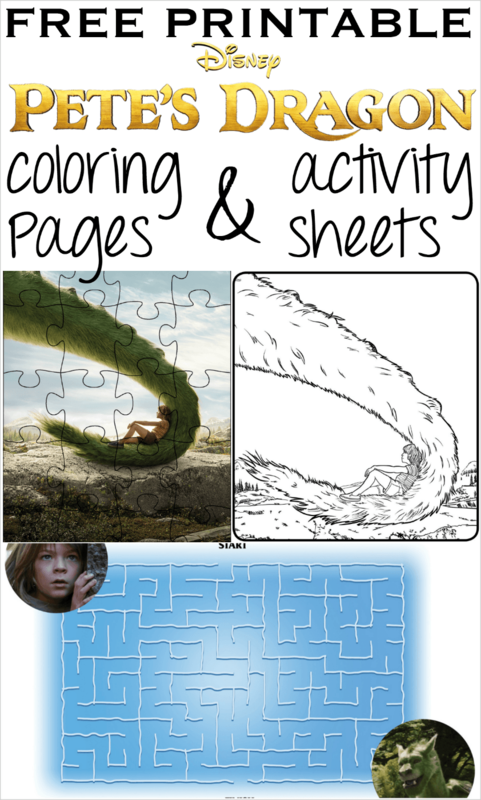 Get your printable Pete's Dragon pages! Pete is a mysterious 10-year-old with no family and no home who claims to live in the woods with a giant, green dragon named Elliot. And from Pete’s descriptions, Elliot seems remarkably similar to the dragon from Mr. Meacham’s stories. 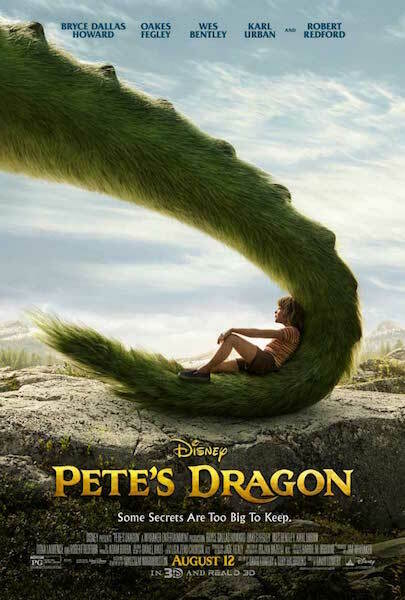 Disney’s Pete’s Dragon opens in U.S. theaters on August 12, 2016. Get your tickets today!